After dropping my eldest off at the stables this morning, I was on my way down to the lake. This is the time I like to think of my options relating to past captures, weather and in the back of my mind ‘did I need to move on from the swim I had been in over the past few weeks?’ I am sure the fish would be looking around for food sources in other areas. 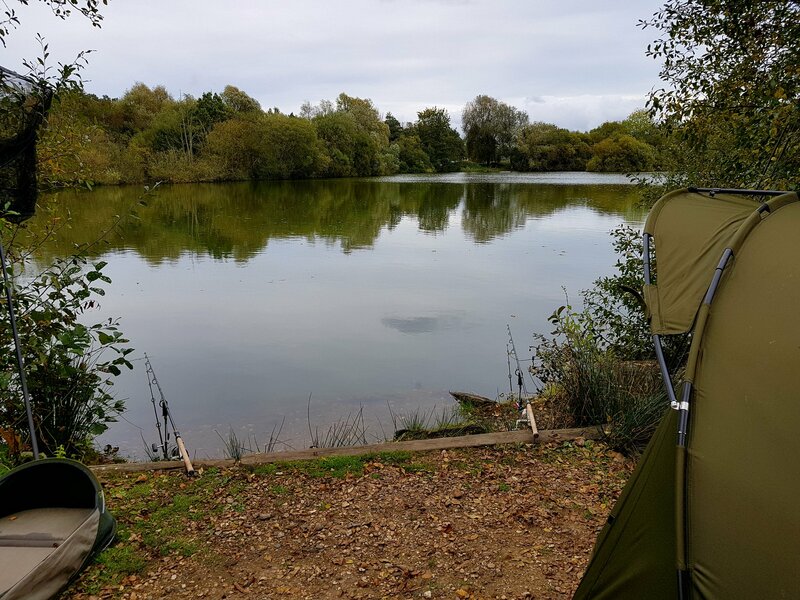 On arrival, I took my normal route around the lake, as this give me a chance to see a high percentage of the swims and unfortunately the area I was thinking about had a couple of anglers in there. There was one more option and the swim I had been fishing was free. I parked up the car and walked down the track until I could see the other area I was thinking about. 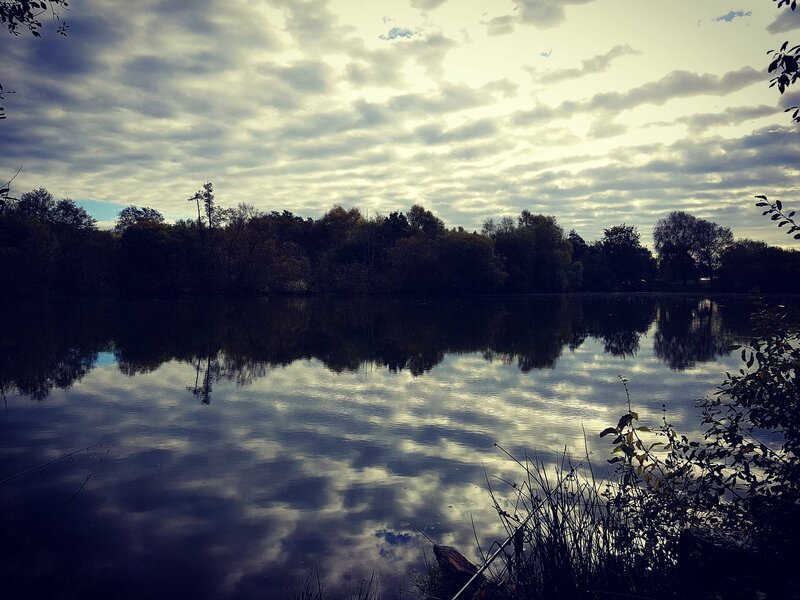 This was taken by a couple of day anglers. This lake was a bit fuller than I expected. However, the weather is good – the wind is from the S/W and it’s Saturday, the weather isn’t too bad to put people off. It looks like my swim has chosen me! Can’t be a bad thing! As I’ve had a few morning takes over the past few weeks, I flicked out 2 Smokey Jack bottom baits on to the area and I would bait up early this afternoon. I also flicked the marker rod out, as a slightly different spot could be a good approach. With no joy by 1230, it was time to put some bait out and marker around to see if there were any other nice features. After 5 or 10 minutes, I had located a nice level change with a bar which ran across the front of the swim, it had about a 2 ft depth difference. That will do me nicely. I Spombs some Smokey Jack over the normal area and catapulted the rest over the other spots. I recast with a bag which had some Catalyst pellets soaked in Betafin liquids and Minamino. I also had Spombed a bit over the other area first. This gave both areas some added attraction and hopefully will be more appealing to the carp. Remember, we are also competing for a take against other people. With a complete change to my spots, I therefore, had to move the rods around. I am not one for looking good, it’s about catching fish. The night past very quietly for me, other than the cows mooing in the fields behind the lake. This was a great help, if you need sleep! I only had a couple of bleeps all night long and I was getting a bit worried that I had got it wrong. 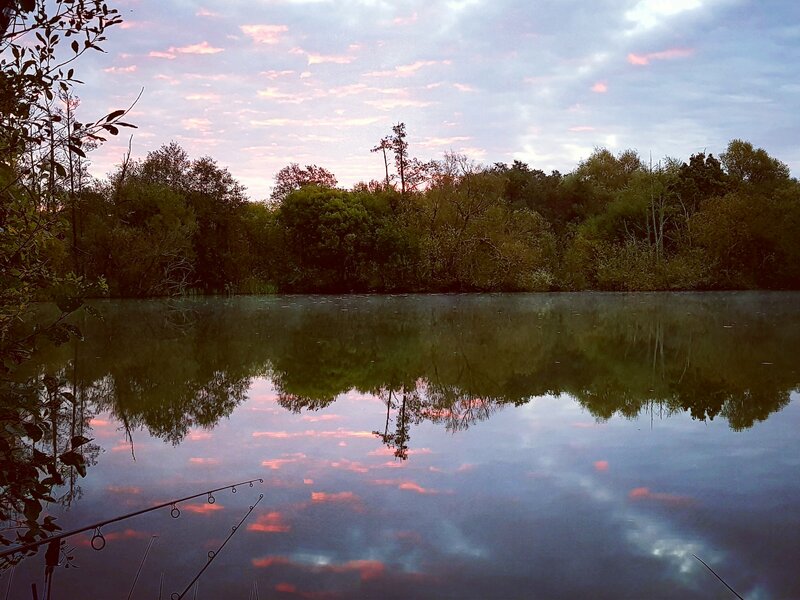 You must stay confident in your choice and sure enough the left hand rod rattled off at about 7 am, closely followed by the other one. Luckily for me, it went off after the other one was in the sling. However, by the time I had got to the rod, it had be around the corner of the point (between me and the island), this is when I think the lead pinged off on the snag it was going for. The hook also pinged out, real shame that was as I felt I had gained control and had the upper hand, apparently not. 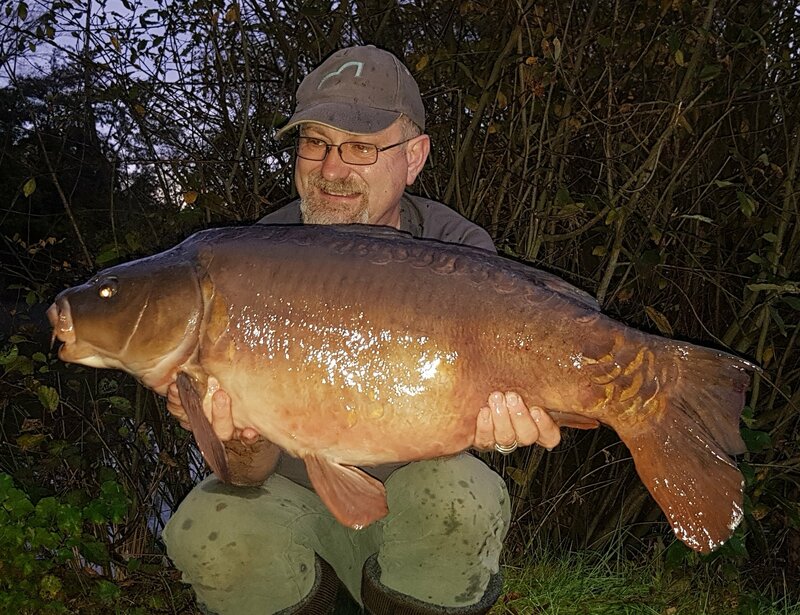 The one that I had banked was this lovely fish at bang on 22 lb, which had made my day, as it was another mirror to add to the list. I got the rods back out, got a brew on and watched the day starting to unfold. 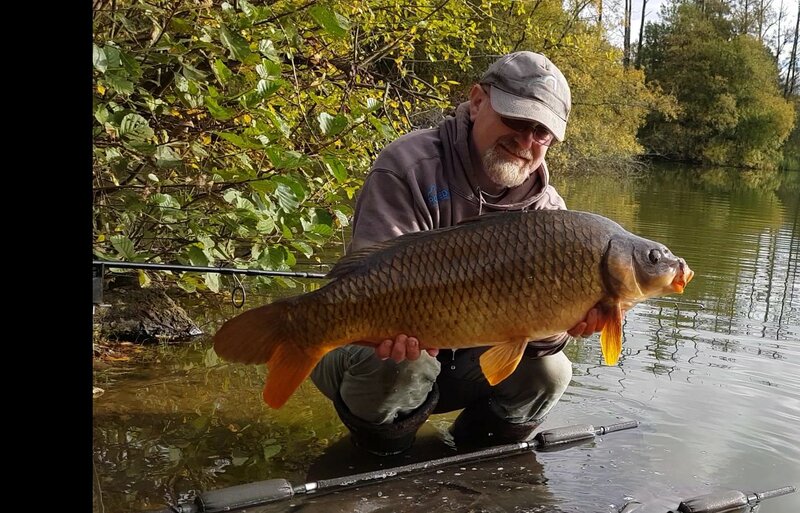 Around 9.30, the right hand rod was off again and I was very lucky again, as this fish was determined to get behind the over hanging tree to the right of me. I had to get my rod tip way down into the water and I slowly managed to get the fish from under the tree. I did have a few scary moments though when the branches were shaking a bit, but it all ended well and after a good fight in the margins the fish was safely over the cord. It tipped the scales at 17 lb 12 oz. Very happy to see the Smokey Jack is working very well. Love the mirror effect you get when the water is still. It was now well past packing up time, I needed to get the kit down, sorted and in the car. 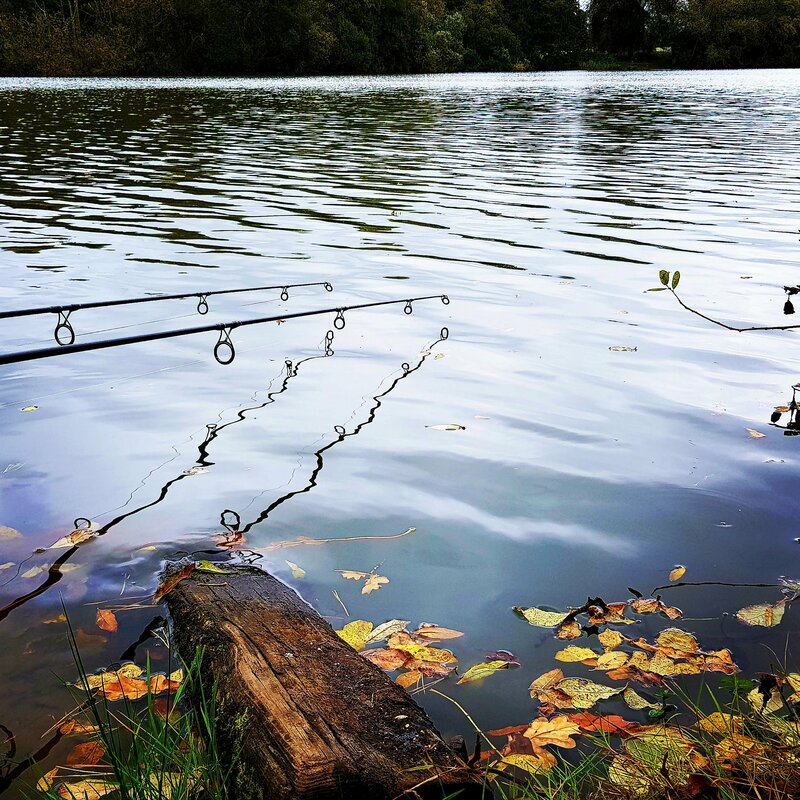 This entry was posted in 360 rig, Aqua M3 Compact Bivvy, Asso Fishing Line, Carp fishing, Carp Tackle Supplies, Carp Talk Magazine, Catalyst pellet, Fox Tackle, Fox Warror 12ft 3.25tc Rods, photography, Smokey Jack, Spotted Fin, The Catalyst and tagged #SpottedFin #thecatalyst #fooddips #teamfin #assofishingline #fishspy #richardhandel #photography #jointherevolution. Bookmark the permalink.